Rated 4 out of 5 by Italia47 from I felt as though I was right there in Pinecreek Hills! Another good series. Just finished the game. I played this at my leisure. The only challenging aspect is the items are indeed very tiny at times. But I didn't need to use the hint button for the hidden objects, or wildlife or recyclables. I completed all the riddles and whatnot except for three puzzles. That was because I lacked patience for those. The puzzle pieces were small and numerous and they had to be rotated. I did enjoy the word cryptograms and the matching pairs, finding 20 of this and that. Some of the scenes were very clear and some were muted. But I did like the hidden objects and some of the interactions within those. Bravo to the devs once again. I'm giving this a 4.50 star rating. I do recommend this game for sure. Rated 4 out of 5 by AEinbend from Realistic Characters I like that these games include people of different enthnicities/races and people with varying body types. Rated 4 out of 5 by bajovane from Seems shorter play time and very challenging I had a hard time finding all of the objects as well as the "trash" and wildlife. The game seems shorter this time around but that may be only my perception. Rated 4 out of 5 by dancemom1 from All HOPs! Hello friends! Well, we have #6 in this series and I have them all. Bought this one with even trying out the demo. If you like straight HOPs, then you will like this series. The scenes are still a little cluttered, but not bad at all. Some items are way too small, so you can get a little eye strain if you aren't careful. You still have to find wildlife and garbage for extra points. The garbage can be a carton, pizza box, coffee cup, empty bottle, etc. This is where the challenge is in these games, as their placement can be pretty tricky. Yes, I still have the need to find them all. The best part is, if you don't find everything the first time, you can replay the scene and find it. You don't lose the money you already earned and you don't have to start all over finding all the collectibles, just the one (s) you missed. The devs still seem to be working on the faces. The eyes finally look almost normal and not like they are sitting on a tack. The music is still quite annoying...I either turn it off or way down. I like how you play a scene and then a puzzle each time. The puzzles haven't changed in all these games, but they do break up the monotony of straight HOPs, which have become quite interactive. You have quite a variation of puzzles to play. 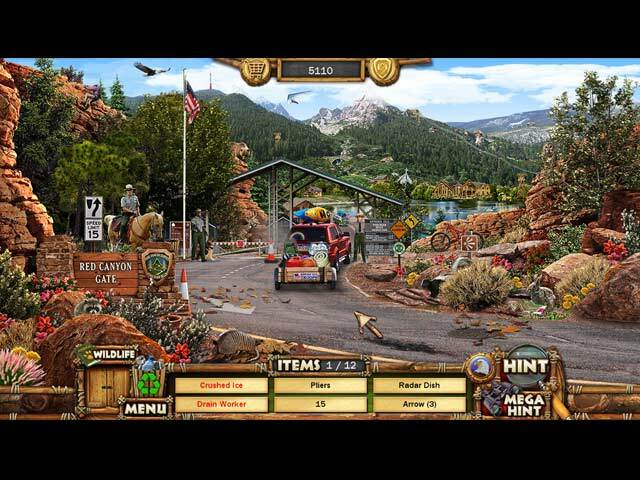 Each scene and each puzzle that is completed earns you money to purchase souvenir items from your vacation. The more stars you earn, the more money you earn, the more items you can buy. A lot of people don't care for straight HOPs, but they are quite relaxing to me and a very nice change from the dark, dreary, bloody type games we seem to get a lot of lately. I think most players will find this one a nice game for a lazy quiet day. As I said, I already bought this one. As always, try it for yourself and see what you think. We all have different tastes in games and you may not care for this one at all. Thanks for the reviews. 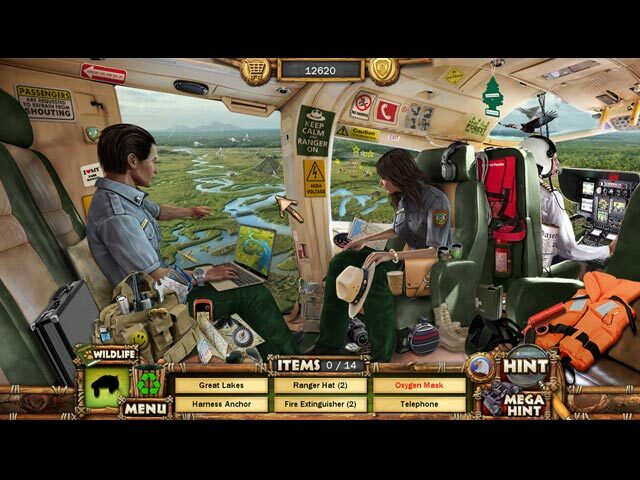 Rated 4 out of 5 by CatLadyTS from Easy Breezy I love these Park Ranger Games. They are easy and fun! Rated 3 out of 5 by verimeri from same This game is too much like the first five. I have the same issue with it. Do the developers not read the feedback? The jigsaw puzzle mini games are much to hard for young people. I buy games for my 10 and 11 yr olds to play but with all the rotating then placing they find the jigsaws too difficult. The older kids are not interested but I wish the mini games were more in tune with the younger set. Rated 3 out of 5 by candacemae79 from It was just okay. I bought this game without doing a trial because of all the favorable reviews. I was disappointed, honestly. The graphics quality was not up to par with other games I have purchased, and the game felt kind of clunky at times. And since this is purely a hidden object/memory type of game with little storyline and no adventure aspect, the graphics and gameplay needed to be much better. I'm surprised at how many said the graphics were so good. During the actual hidden object games, they weren't good at all. 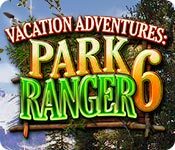 Rated 2 out of 5 by Kay_Erin from Doesn't cut it I'm a big fan of these Park Ranger Games and looked forward to a new one. However this is a big disappointment. Instead of the lovely out doors and hidden objects to look for these scenes are junk piles; so much garbage to wade through you don't get a sense of wonder like the other games gave us. I only played the demo and in each of the scenes there were only 3 "junk" stuff to pick up (empty bottles, pizza boxes etc, that you put in the trash.) It didn't need them there was so much junk around in one scene you couldn't see the lake - and that pile of old pieces of scrap metal in the lake was not junk! I'll just replay games 1-5. This is a throw away. Rated 1 out of 5 by rikkirachiel from Doesn't belong in the Top 10 I purchased this game because if was in the Top 10 games. I should have played the demo first. First flaw is the items are very tiny and hard to see. Second, the scenes basically repeat over and over again. No story line whatsoever. It may be a good game for beginners, but if you're looking for a challenge and enjoy a story, this is NOT the game. I bought this on sale, but still wish I had my money back. Rated 1 out of 5 by qd1_deb from Not much fun Pretty boring - very slow moving. Poor graphics. No very exciting at all.